Marketing your services may not be at the very top of your to do list, especially as keeping a fleet compliant and on the road is such a major task. However, it is still a vital part of any business. 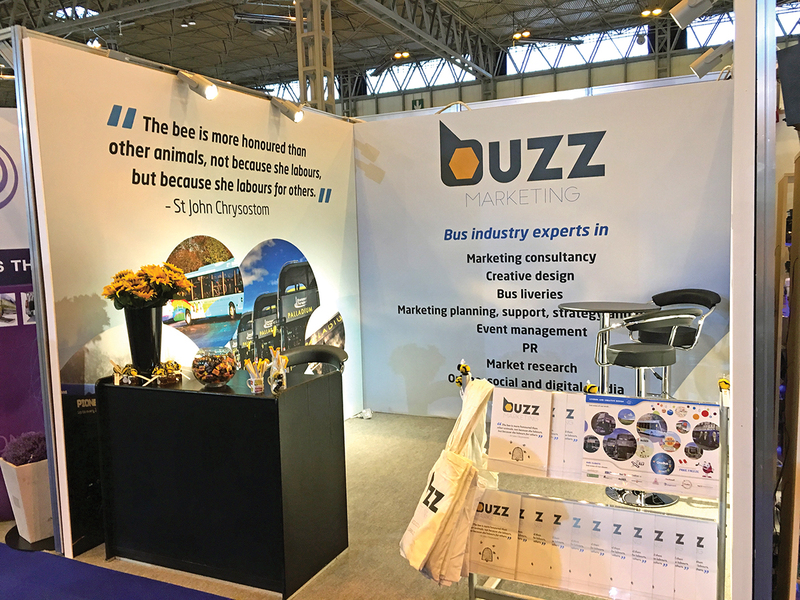 Buzz Marketing’s Senior Account Manager, Paula Middleton, spoke to Chris Peat recently about the world of marketing in the bus and coach industry. LtoR The team at Buzz Marketing, Paula Middleton, Claire Rawlinson and Hannah Connick. So why is there such a lack of funding for marketing in the industry? ‘It’s just because there are so many constraints on the business,’ Paula said, mentioning the high operational and maintenance costs. However, she believes the marketing budget is perhaps the most important spend in the long term. In Paula’s experience, there are some ‘very good’ people in the industry when it comes to marketing. They are adept at stretching the funding available to get messages out to customers and getting staff to work together to deliver projects. This is something Paula had done in her previous role at a major bus operator, where she communicated affectively with other members of the team, using data collected by other departments to save resources in collecting her own information. First Essex’s X10:X30 service recently launched was orchestrated by Buzz. The key to a good strategy, Paula said, is ‘firstly to know your product, know where the buses go and who uses them and who is not using them’. It is about ‘getting under the skin of passengers’, knowing what they think and feel. This forms the basis of any campaign and ‘means investing a lot of time’. Talking about her time in her previous role, she said marketing tended to be focused on the operator’s ‘crown jewel’ services, the ‘big revenue makers’, rather than promoting the network as a whole. A lot of people forget or may not even be aware of the places the buses serve, so a typical marketing activity she would be involved with organising was leaflet drops along key housing estates, which she would do twice a year. The idea would be to remind people of the services and encourage them onboard, with the leaflets containing a money off voucher. The key message of a campaign has to be consistent and clear, Paula said. One of the most important messages to get across to the public is how ‘value for money’ the services are. It has to be communicated that the services are convenient and more frequent than perhaps commonly thought. An example of the agency’s graphic design skills, in this case with a route map. Getting awareness of services is good for attracting non-bus users as well, Paula claims, saying there is a ‘fear element’ of using the bus, with them being perceived as being ‘all too complicated’. 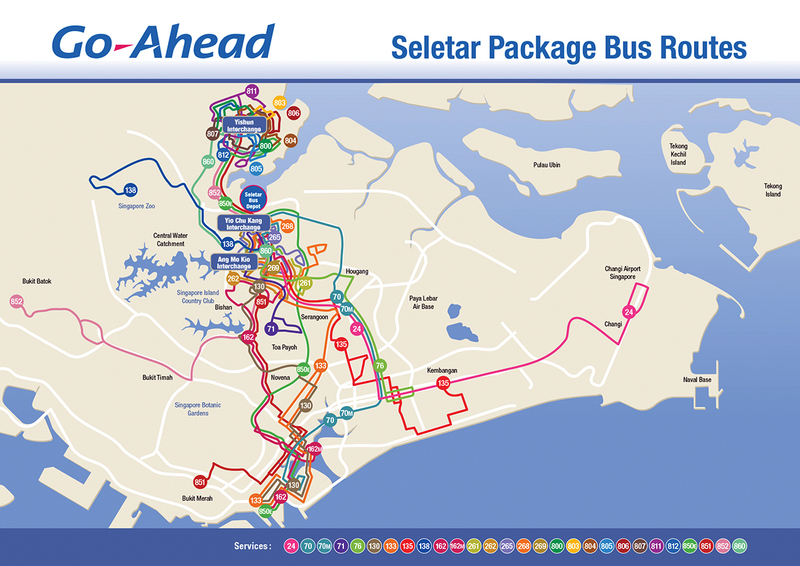 Potential passengers can be put off by not knowing where to catch buses, which one they should board and how much fare they need. ‘It is important operators constantly educate people to make the process as easy as possible for them.’ She said mobile ticketing and apps for journey planning are now eliminating that fear, encouraging them to come onboard. A driver that smiles at passengers is also important for ensuring customers keep on using the services. 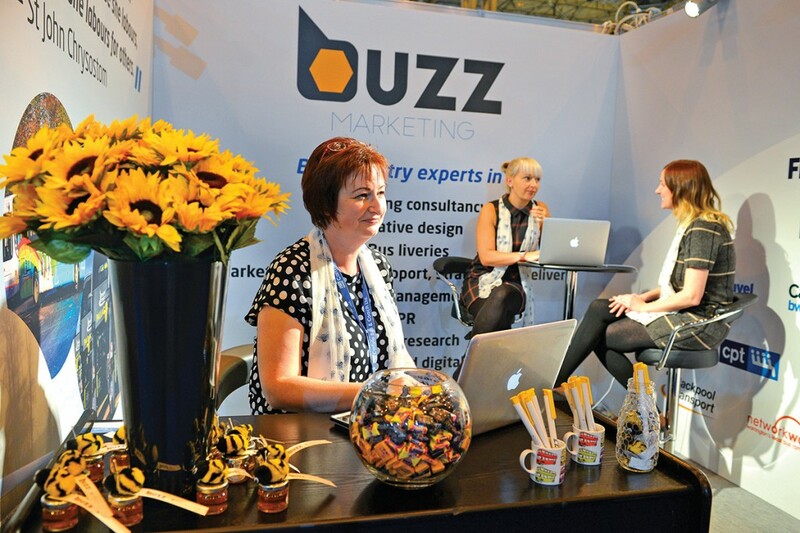 Whether it is creating branding or completely designing a marketing strategy, Buzz can work with clients’ existing marketing staff. Paula described it as offering an ‘extra pair of marketing hands’, acknowledging that sometimes operators do not have ‘enough on the ground’ to carry out this type of work themselves. ‘Don’t think of us as a threat to internal marketing roles. We work hand in hand with them.’ However if needs be the company can also cover a business’s entire marketing needs. They can be employed to deliver ‘so many days of marketing per week’. Paula said it ‘offers the whole gambit’, with its activities including writing marketing plans, strategies and tactical planners to creating bus liveries and even delivering multi million pound campaigns with several new bus launches and revenue generating initiatives. It is not all about the big campaigns at Buzz though, the agency does its fair share of working on basic marketing maintenance projects to keep an operator ticking over on a daily basis. The company’s stand at Euro Bus Expo 2016, complete with its new branding. The company works for various operators, including Blackpool Transport Services, System One, First and Network Warrington to name a few. One of its most rewarding jobs was for Blackpool Transport with the launch of its Palladium service. 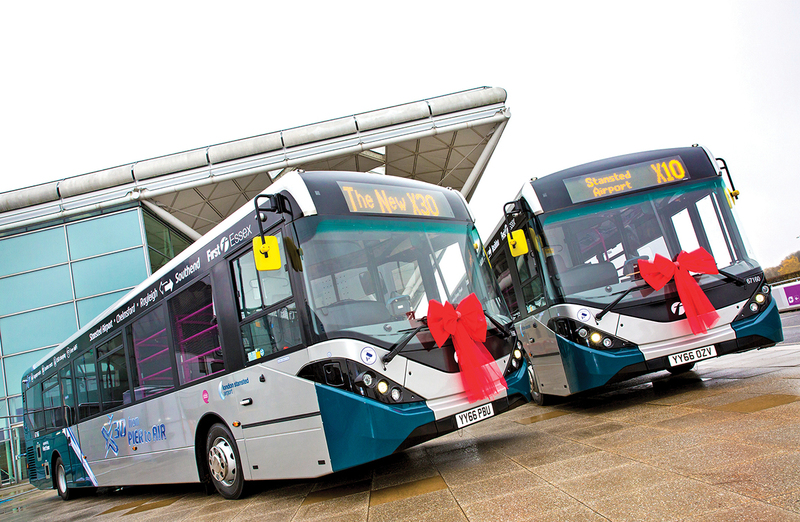 Another major project was the launch of the X10/X30 airport service for First Essex. This is not the only change the business has gone through though. It has moved from being a simple consultancy to an agency that now provides full creative design, PR and web services. Its team has been further strengthened with Hannah Connick and most recently Paula joining the team. Both have significant experience working within the public transport sector. Three new designers have also been brought onboard to support these public transport marketers, with Buzz expanding further into creative designs. Praise the lord for Best Impressions as these ladies have no idea.